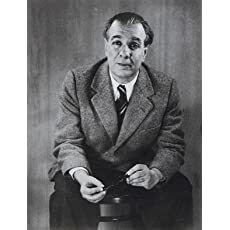 Jorge Francisco Isidoro Luis Borges (24 August 1899 – 14 June 1986), was an Argentine short-story writer, essayist, poet and translator, and a key figure in Spanish language literature. His work embraces the “character of unreality in all literature”. His best-known books, Ficciones (Fictions) and El Aleph (The Aleph), published in the 1940s, are compilations of short stories interconnected by common themes, including dreams, labyrinths, libraries, mirrors, fictional writers, philosophy, and religion. Click here for more books by Jorge Luis Borges. 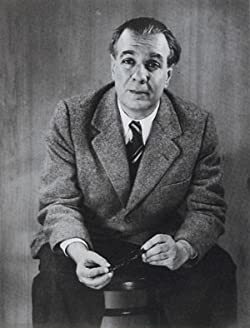 Ficciones is a classic collection of seventeen short stories by acclaimed Argentine author Jorge Luis Borges, originally published in the 1940s in Spanish, and winner of the 1961 International Publishers Prize. These stories and mock essays are a challenging mixture of philosophy, magical realism, fantasy, ruminations on the nature of life, perception and more. There are layers of meaning and frequent allusions to historic figures, other literary works, and philosophical ideas, not readily discernable at first read. Reading Ficciones, and trying to grasp the concepts in it, was definitely the major mental workout of the year for me. My brain nearly overloaded several times, but reading some critical analyses of these works helped tremendously with my understanding and appreciation of these works ... well, at least most of them. An appropriate title for any Jorge Luis Borges collection, Labyrinths is that selected by Penguin for their ‘best of’ printing of the author. Containing short stories, essays, and parables, each selection takes the reader on a winding path of ideas that seems to branch off infinitely into the wonder of reflective thought. Surreal in concept rather than imagery, it’s no surprise many of the most intelligent writers of fantasy and science fiction cite Borges as one of their significant influences. Erudition is on full display, so the reader should come fully prepared to wade in over their head in abstract allusion and references — known and unknown. Jorge Luis Borges’s The Book of Imaginary Beings (1969) introduces readers to the origins and characteristics of creatures like the Chimera, the Chinese Dragon, the Jinn, and the Western Dragon. Although I am hardly a scholar when it comes to monsters and imaginary beings, I was still impressed by how many of 155 creatures included here were entirely new to me.